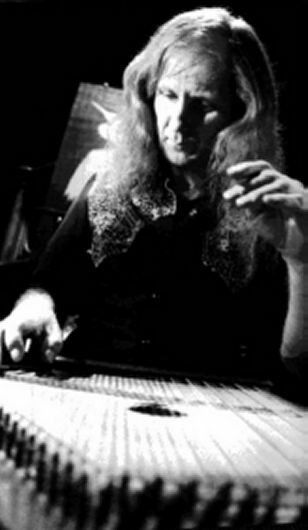 Andrew Cronshaw is a British multi-instrumentalist, playing a 74-stringed electrified chord zither, marovantele (a 44-stringed double sided kantele of his own devising), a wide range of wind instruments including fujara (a 180cm-long Slovakian shepherd's three-hole whistle generating shivering breathy harmonics) and ba-wu (a seductive-toned brass-reeded instrument from China's Yunan province), and other non-mainstream instruments. 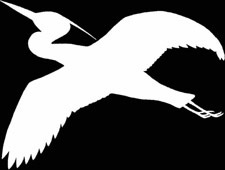 In his parallel career as a world music journalist, he has long been a main writer of reviews and features, particularly on Nordic, Baltic, Iberian, central and eastern European musics, for the world and roots music magazine fRoots, and for other international publications and media including several chapters of The Rough Guide to World Music. His performing and recording career began in the early 1970s, and since then he has released nine solo albums, and most recently two by the band that he leads, SANS, which features Finnish singer and kantele player Sanna Kurki-Suonio, Armenian duduk player Tigran Aleksanyan, with whom he’s worked since 2006, and decades-long collaborator British/Australian reeds player and multi-instrumentalist Ian Blake. In the course of recording the latest SANS album, Kulku (2018), the line-up has grown to a five-piece with the addition of a second Finnish singer and kantele player, Sanna’s daughter Erika Hammarberg. After six solo albums on Transatlantic, Leader, Waterfront and Topic, in 2000 he began his own label Cloud Valley, and on it has released the most recent three of his solo albums and the two SANS albums. In 2008 Cloud Valley also released Žegar Živi, field recordings of Dalmatian traditional village music Cronshaw made in conjunction with Serbian singer Svetlana Spajić in the village of Žegar. He has produced albums by June Tabor, Silly Sisters, Bill Caddick, Salamakannel, Nikolai Blad and others in Britain and Finland. He features on recordings by Scott Walker, Suede, Hue & Cry, Ralph McTell, Martin Simpson, Cerys Matthews, BJ Cole, Natacha Atlas, Pascal Gaigne and others in Britain and abroad, as well as film music sessions, and playing and appearing in the Scottish epic film Outlaw King. When playing live he has often been a solo performer, and during the early 1990s in The Splendid Venues Tour he created his own unusual performing circuit, presenting, in the course of a couple of years, over a hundred atmospheric solo shows largely in ancient English village churches. During the 1990s, alongside his own performing work, he also did long tours worldwide as live sound engineer and tour manager for leading Madagascan band Tarika. On his solo albums and live he has been joined by a long list of other musicians. 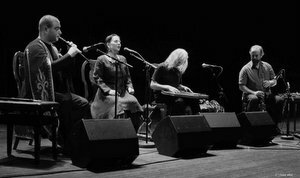 They include a long partnership with Fairport Convention violinist Ric Sanders, performances with Natacha Atlas, Serbia’s Svetlana Spajić, Chinese pipa and gu-cheng virtuoso Liu Fang, and exploratory work in Poland's Tatra mountains with the Trebunia Tutka family of traditional musicians. Since the beginning of the 1990s Andrew has had a particularly strong connection with Finland’s traditional music. In 1997 he produced and played in a large Finnish project of runo-songs and kanteles, Huuto Hiljaisuudessa - A Cry in the Silence, for Kaustinen International Folk Music Festival. In 2000 Kaustinen Festival presented a large performance project initiated by Cronshaw, Hauenleuka, which involved the floating of a giant 7-metre five-string kantele (the world’s biggest – it’s in the Guinness Book of Records) down the river Perho accompanied by local musicians and dancers. His seventh album, 2000’s On The Shoulders Of The Great Bear, was based almost entirely on Finno-Ugrian music. It was recorded at the studio of the national Folk Arts Centre in Kaustinen, and features Heikki Laitinen, Hannu Saha, Jenny Wilhelms, Minna Raskinen, Ian Blake and Bernard O'Neill. In March 2002 a large-scale show based on the album toured in the UK, commissioned and managed by the Arts Council of England's Contemporary Music Network and produced by Folkworks. Directed by leading Finnish theatre director Vesa Tapio Valo, it involved most of the musicians on the album plus dancer/performance artist Reijo Kela. 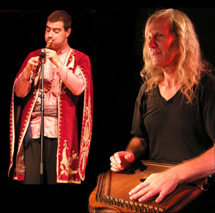 His eighth album, Ochre (2004) drew together the modal melodies of English folk songs with the maqam improvisation of Syrian qanun and oud player Abdullah Chhadeh, the Arabic vocals of Natacha Atlas, pontic lyra of Matthiaos Tsahourides and Welsh triple harp of Llio Rhydderch, together with Ian Blake’s reeds and Bernard O’Neill’s double bass. It became the only album to be nominated for both the BBC Radio 3 Awards for World Music and the BBC Radio 2 Folk Awards. His ninth, 2011’s The Unbroken Surface Of Snow, mainly features the trio of Cronshaw, Aleksanyan and Blake, joined for part of the 34-minute title track by Sanna Kurki-Suonio with a Finnish runo-song. After the release of that, all four came together for performances at Kaustinen festival, and SANS was born.